Pustak Ka Vivaran :Mahilao ka varnan nahin paya jata hai. kisI bhi veer gatha mein nariyo ka ullekh ek na ek dhang se avashy hi uplabdh hota hai. Panchamahakavy ya any kaavyon ka nirikshan karne par gyat hota hai, ki unme veero ke varnan ke sath hi sath unki preyasiyon ka bakhan avashy hi kiya hai. Striyon ka varnan na kiya ho aisa shayad ek bhi Veer – Kavy nahin paya jata hai….…….. Description about eBook : The description of women is not found. Narayo’s mention in any heroic saga is definitely available in one way or the other. 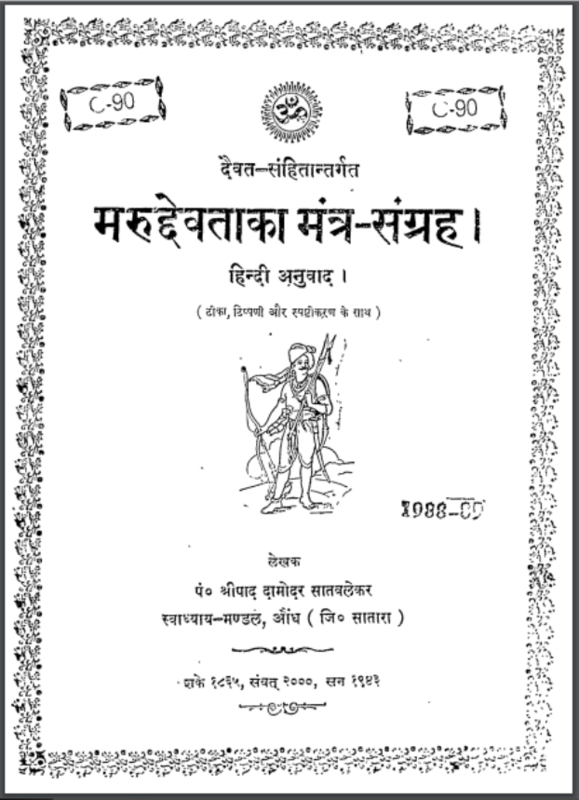 On observing Panchamahakavya or other poets, it is known that he has given the memoirs of Veeru as well as his beloveds. There is probably no single heroic poetry that does not describe women.…………….